CONDITION- Cel is in excellent condition!! Strong colors! Very little line fading! 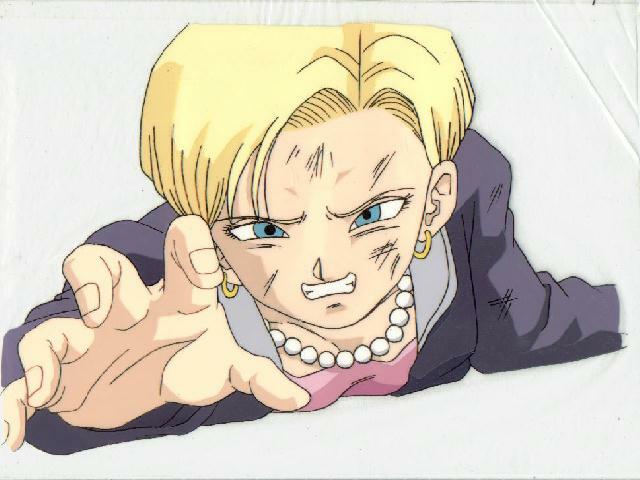 TRUNKS - I really like this cel of Trunks in a suit! It's different, you know!?! ^_^ Has a matching Unstuck sketch! CONDITION- Just some line fading, otherwise great! 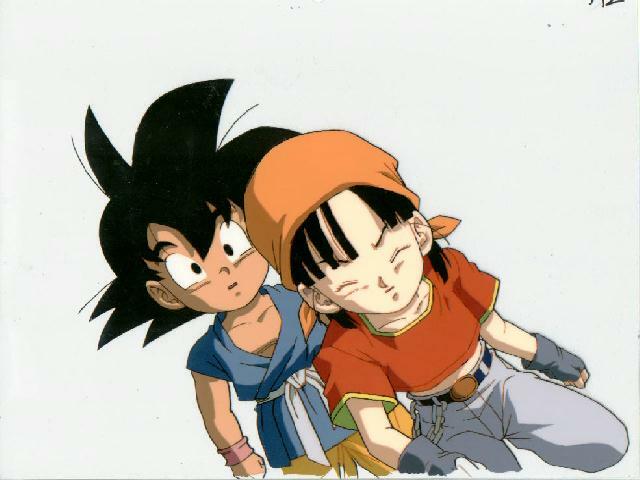 Goku Jr. & Pak - From the DBGT final movie! Very nice cel, in excellent condition! SKETCH- Yes, Stuck to matching sketch. CONDITION- Has one small bit of paint scratched off in Pak's shadow, and a little bit of line fading. Otherwise, strong colors and great condition. 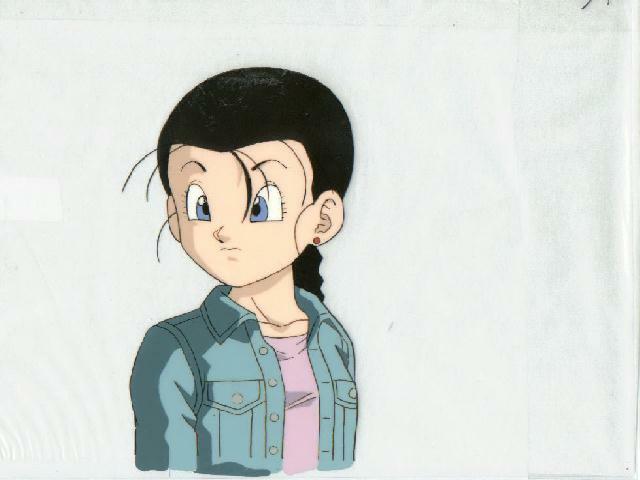 KRILLIN - Cel of an older Krillin. Very nice matching sketch! NOW FOR SALE! CLICK PIC FOR DETAILS! 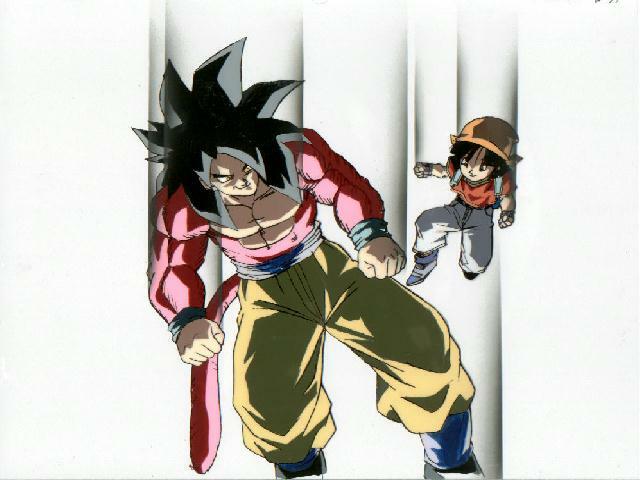 GOKU & PAN - "Go ahead...fall backwards, I'll catch you!" 2 Layer cel with 2 Unstuck sketches! Very nice, A2 cel! CONDITION- Cel is in excellent condition!! Strong colors! No line fading!LAYOUT- The cel is standard, approx 10.5" x 9.0" Image placed in exact center on the cel. 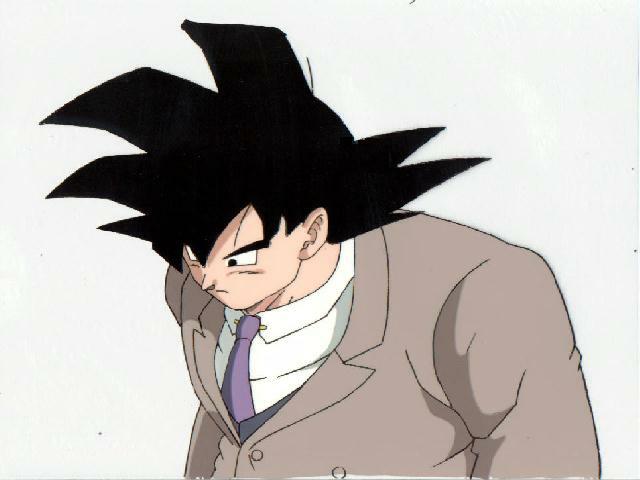 GOKU - This IS Goku's Great Great Grandson. (That makes Pan his Grandmother!) 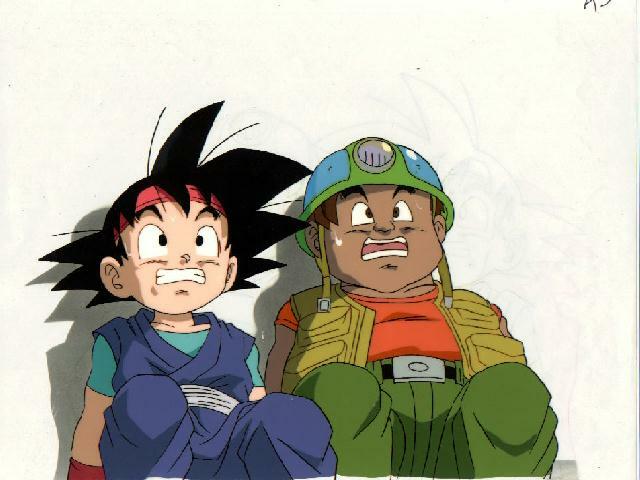 This is right after he sets out to search for a Dragonball!! 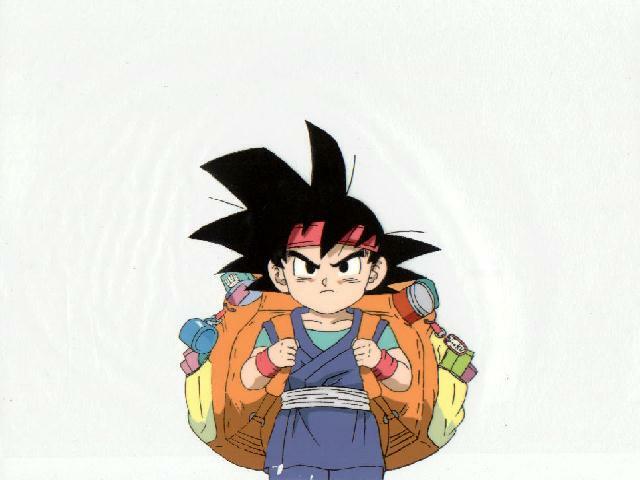 I like the tiny tag on his bag that says "Goku", even though it's not noticeable in this pic! CONDITION- Some line fading. Some paint scratched at bottom of cel. 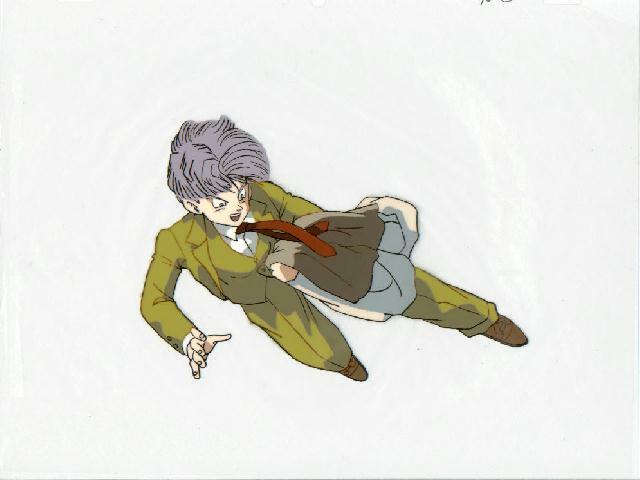 Excellent detail in cel. 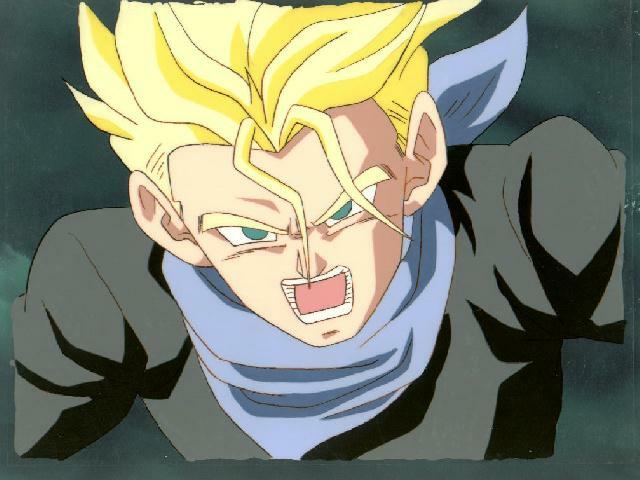 SS TRUNKS - "Bring it on". 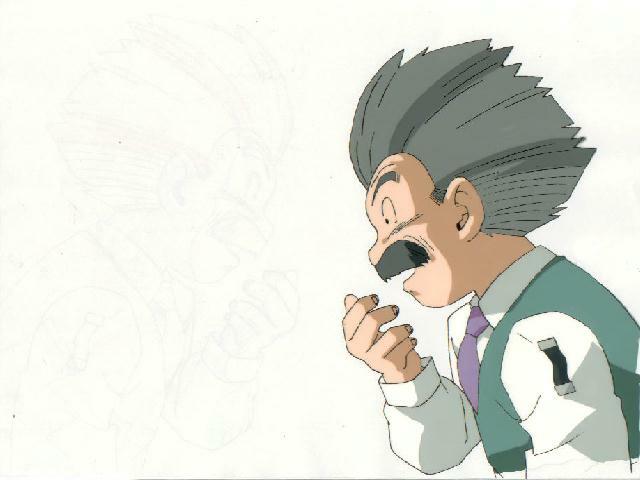 This cel is VERY NICE! Comes with an UNstuck detailed sketch, and a Timing Sheet! NOW FOR SALE! CLICK PIC FOR MORE INFO! TRUNKS will guide you through OUTLAW territory!